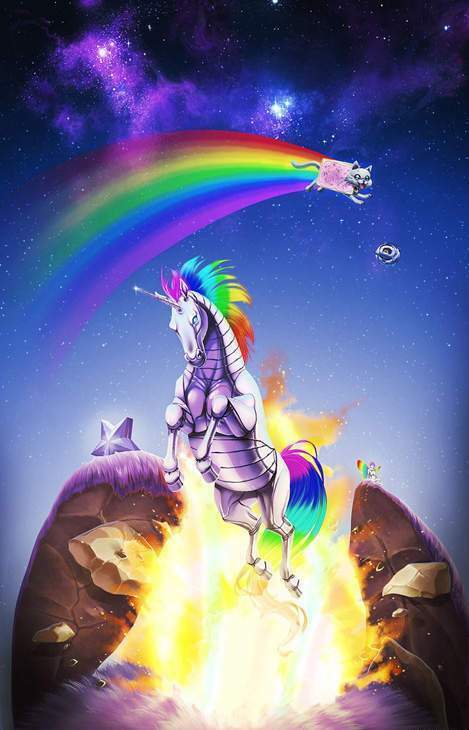 Nyan Cat witha a unicorn. . Wallpaper and background images in the Nyan Cat club tagged: nyan cat nyan cat rainbow poptart unicorn. Nyan cat người hâm mộ collage!